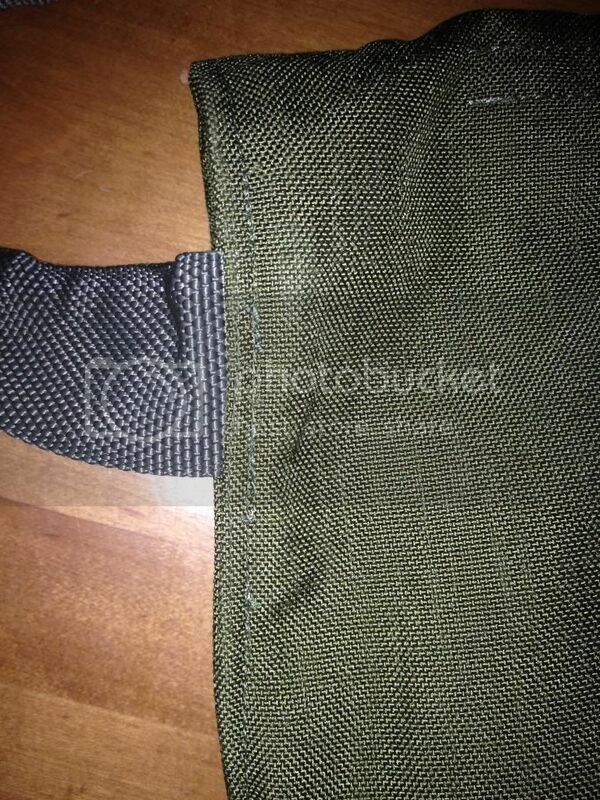 Top loading Modded Gas Mask Bags - A Military Spec Surplus Bushcraft exclusive. I just had a bunch of USGI M-40 gas mask bags modified by professional seamstresses in a factory that does military contract sewing. The former front loader shoulder strap was carefully removed, that seam and the strap were re-sewn on the other side of the bag. 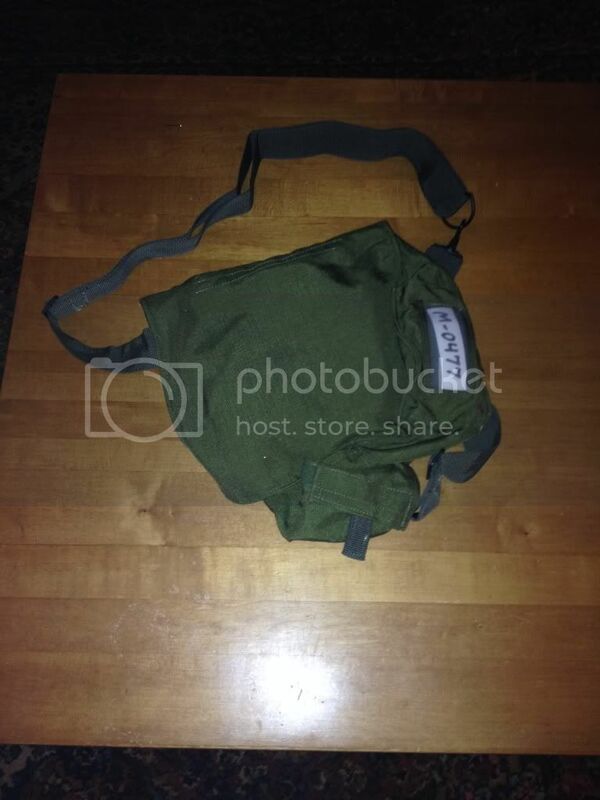 The front loader is now a top loading USGI Gas Mask Murse. 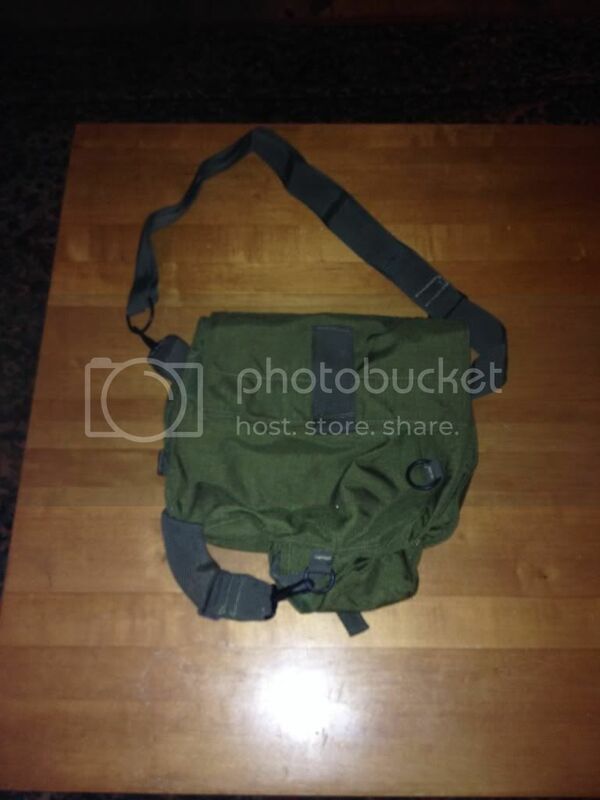 Re: Top loading Modded Gas Mask Bags - A Military Spec Surplus Bushcraft exclusive. Those look great beast! 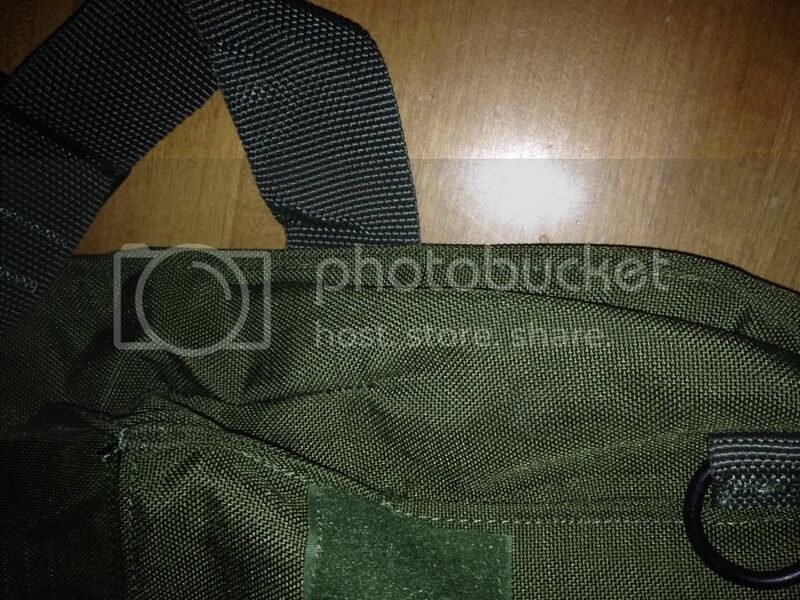 That is a nice modded bag now. I forgot to mention that the waist strap is still attached and worked great to keep the murse from swinging in the breeze. It'll also stymie a murse snatcher while used in an urban setting. I was going to make it a Bullies of Bushcraft exclusive, brother. I didn't know if that was trade marked. EVERY time I see that word, I hear Hulk Hogan in my brain. That was a genius idea! WB, you would have saved me some frustration had you had these for sale back when I bought 3 of these that were un modded prior to purchase. I modded two of them myself using a sewing machine & I am not so good at sewing. They are usable though and my oldest son & I use them relatively often. But, I sure would have liked to have had them made by a pro,since at this price they are a bargain. They are very handy for short or "minimalist" trips & I would recommend these professionally modded ones to anyone, particularly at such a reasonable price. They sure look better than my "home made" modifications, and the price is "super!" for what ya get! 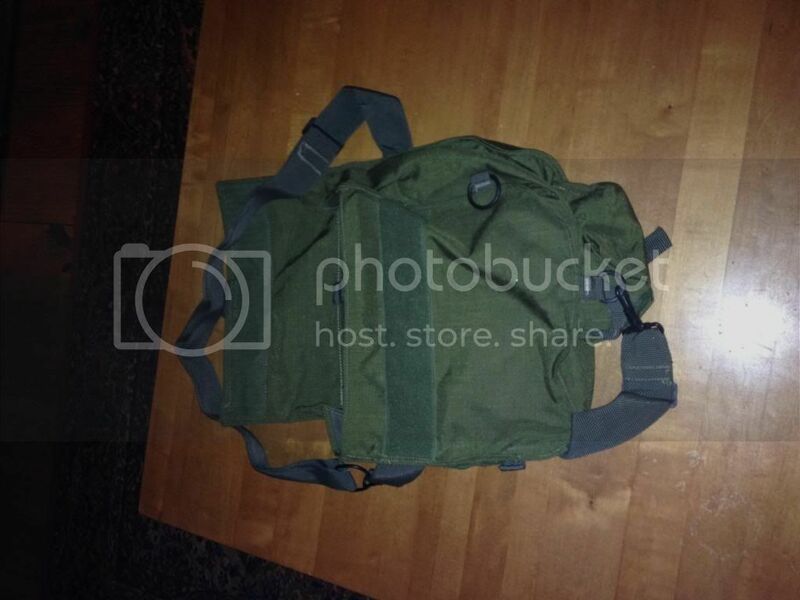 Are these modded bags still available? Beast I need some of these bags as well for Christmas. Wilderbeast do you have any of these left? Doesn't look like the 'beast has checked in since the middle of December, but MnSportsman has his email address and should be able to draw his attention to your query. Send him a PM.....I'll bet he'll give you a hand. That a great mod...and those are really a heavy duty bag.....great combination. One truck....... bag for various 12ga ammo.....Fits under from seat. The other is..... a "Bag o' Bungees/and straps".....carried in the truck as well. The mods would allow ease of carry....and opens up all sorts of uses of a great little bag.